Randy Featherston, KBJS Station Manager and Morning Host. Tune in weekday mornings with Randy Featherston from 6 to 11am. Morning drive on KBJS is packed with Bible teaching, American and Church History segments, Family programs and more! You are certain to gain new insight and Biblical perspective on the headlines affecting you when you hear Randy's "News Not Heard on Major Media" segments -- two entirely different programs are aired weekdays at 7:57 and 8:57 am. On a personal note, Randy and his wife Bobbie live in Tyler. A fitness buff, Randy enjoys weight lifting, and is frequently seen at the gym with his grandchildren in tow. He is a teacher at heart, with a humble, kind and gentle spirit. As an avid reader, Randy is a wealth of information on a variety of topics -- yet head knowledge isn't what is important to Randy; he knows that Jesus alone offers us the Words of Life. With many Bible verses stored in his heart, Randy is best known by friends and family as a man who is always willing to share a nugget of truth from Scripture and his upbeat attitude is sure to encourage even the most downcast soul. His passion to make Christ known is best stated in one of Randy's favorite verses, "Oh, Magnify the Lord with me, Let us exalt His name together" (Psalm 34:3). Randy Featherston can be reached at randy@kbjs.org. John Paul Little, KBJS Operations Director, Afternoon Host, and Host of "Timeless Words and Music"
John Paul Little grew up at the old "Little family home place" near Henderson, Texas, where he and his wife Karen still live. His ancestors were some of the earliest settlers of Texas, having migrated to the state by covered wagon in the early 1800's. Both of his great grandfathers fought in the Civil War and an earlier great, great, great, et al grandfather, Captain Daniel Little, Jr. Esq., was one of the founding fathers of Salisbury, N.C. In the early 1970's John Paul began his radio career in the commercial radio industry. 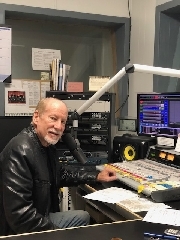 Feeling a call into Christian radio ministry, he began doing part time Christian radio work in the late 1970's before moving into full time Christian radio ministry in 1983. John Paul has worked in both local and national Christian radio stations and networks headquartered in Dallas and in East Texas. He is also an ordained, seminary trained Baptist minister. He and his wife Karen have four adult children and seven grandchildren. 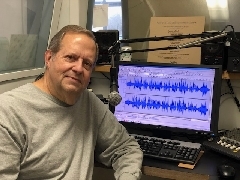 In addition to his technical responsibilities as KBJS Operations Manager John Paul is also the host of "Timeless Words and Music" - a program that focuses on Scripture readings and time-honored songs of the faith. "Timeless Words and Music" airs from 8 to 9 each Sunday evening. John Paul Little can be reached at johnpaul@kbjs.org. Dr. Roy Morgan, host of "Health Essentials"
Dr. Roy Morgan is the host of the very popular "Health Essentials" program, airs LIVE every Saturday morning at 7 AM and is replayed on Sundays at 2 PM. This live call-in show covers a variety of medical topics. Tune in for practical advice from the Doc! Wendy Emprimo has lived in Jacksonville for about 25 years. She attended Jacksonville College, where she accepted the Lord as Savior during her freshman year. She graduated with an Associate of Science in 1993. She currently serves on the Alumni Commitee, and also serves as Secretary of the Anderson/Orr/Small Alumni Chapter. Wendy is a veteran homeschooler, having taught her oldest nephew for 16 years. She is a leader in the Singles class at Central Baptist Church in Jacksonville, and also volunteers with the county 4-H program as co-leader of the photography project. Wendy is also a distributor for Young Living Essential Oils, and is very active with that. She loves painting, baking, crafting, and spending time with friends and family. Wendy loves the Lord and enjoys her work at KBJS, where her duties include: answering the phone, doing the daily deposits, handling most correspondence, writing the monthly newsletter, and helping to write and prepare the bi-annual mass mail-out letter. She also dusts, vacuums, clean the station bathroom and waters the plants (when she remembers).